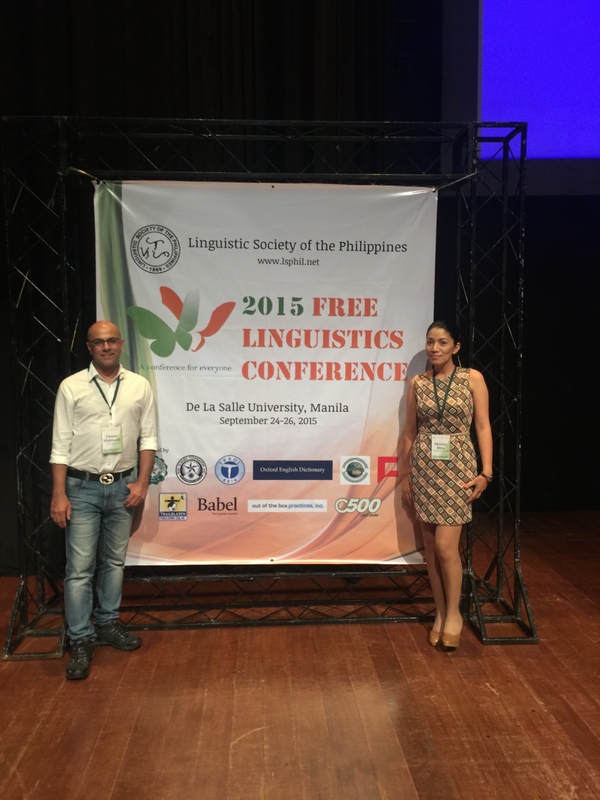 The 9th Annual International Free Linguistics Conference was hosted by the Linguistic Society of the Philippines at De La Salle University in Manila on 24-26 September 2015. In addition to the conference and the workshops, the Free Linguistics Conference 2015 also hosted the Talking Across the World Symposium, a forum for academia and industry to exchange ideas, share best practices and research around the key concerns in English communication in the BPO industry. FLC would like to thank the Linguistics Society of the Philippines for hosting the 9th Annual Free Linguistics conference at DLSU. We would also like to thank all the presenters and participants for making the conference meaningful; the sponsors and the people who donated to keep the conference free of registration charges; and, we would specially like to thank Shirley Dita and her amazing team of volunteers who made the conference a success.